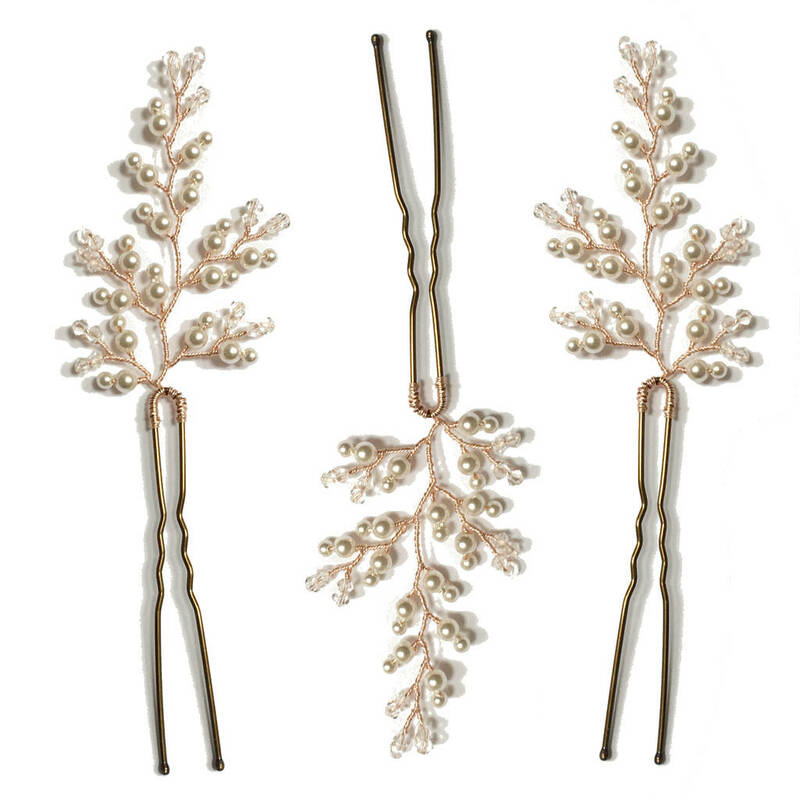 Set of 3 Swarovski crystal and ivory pearl hair pins - perfect for brides or bridesmaids. 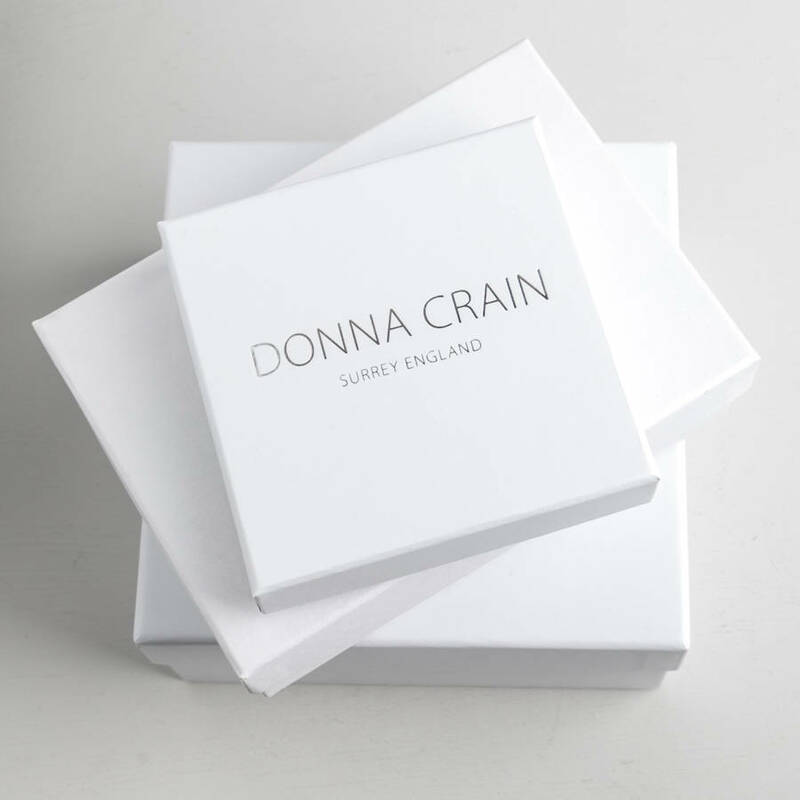 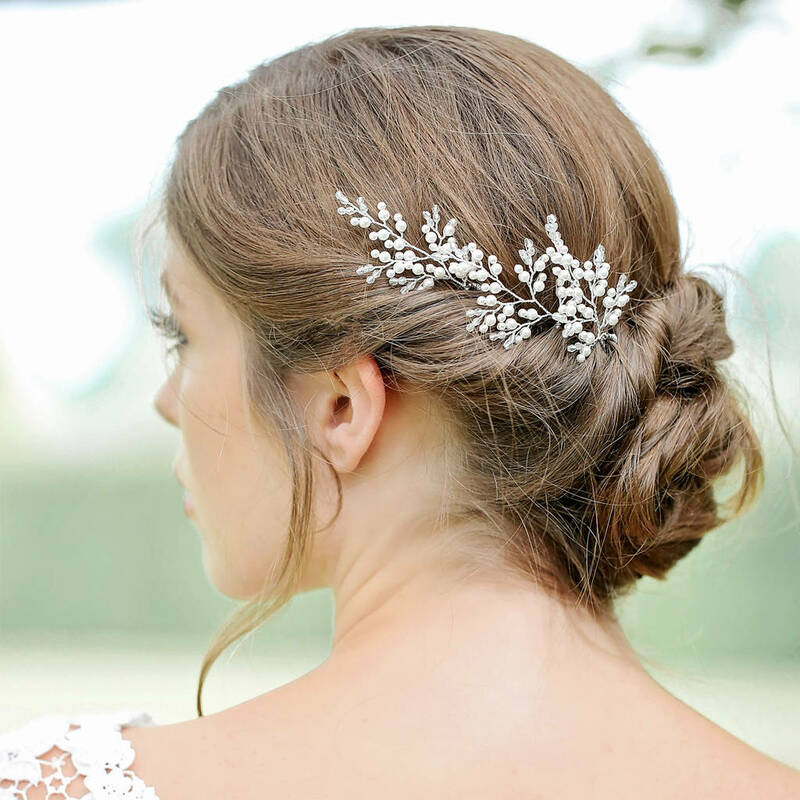 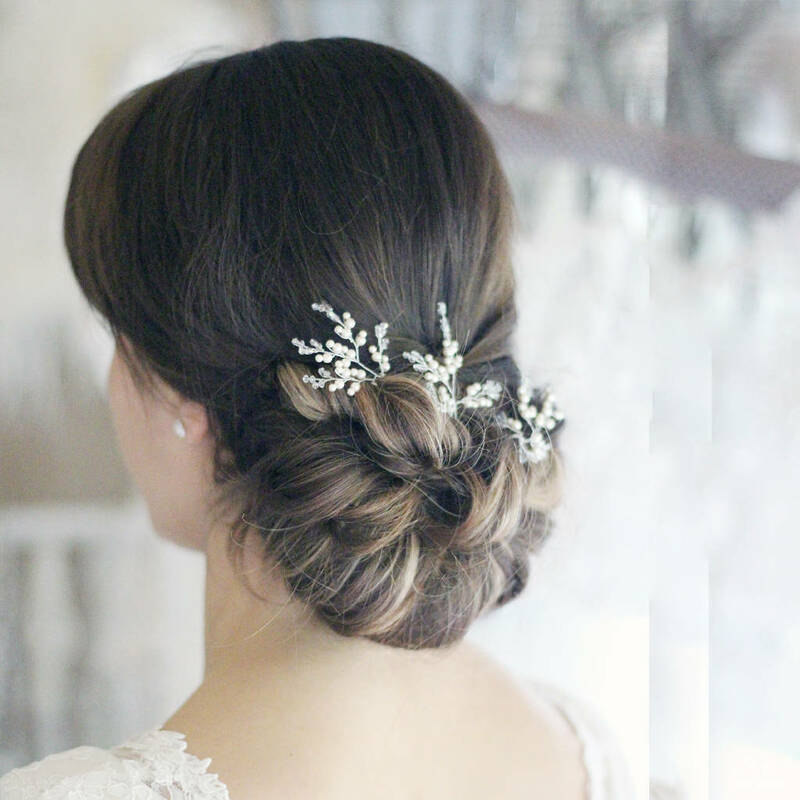 Our pretty set of hair pins have a subtle beauty and adored by all our brides. 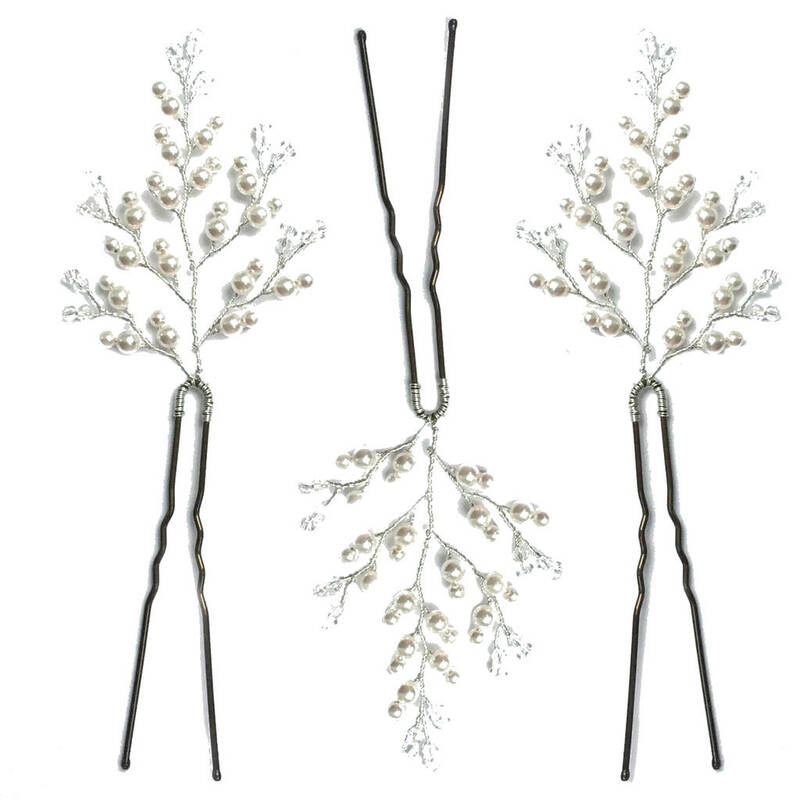 They are intricately handcrafted with Swarovski crystals and ivory pearls in either silver, gold or rose gold wire. 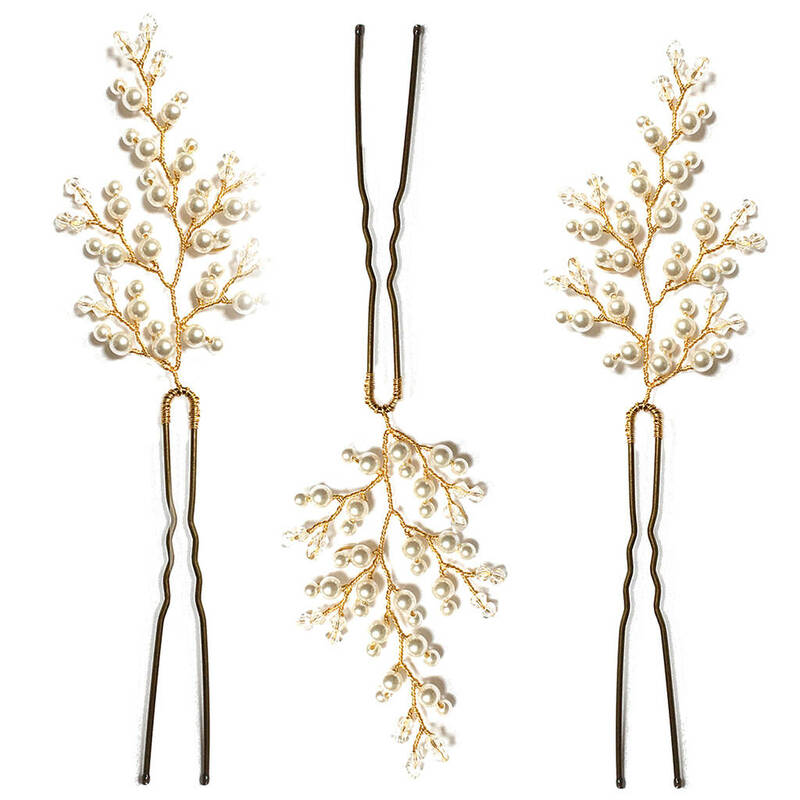 If your style is classic or you prefer a more boho look, these pretty pins are set to decorate your up-do to perfection. 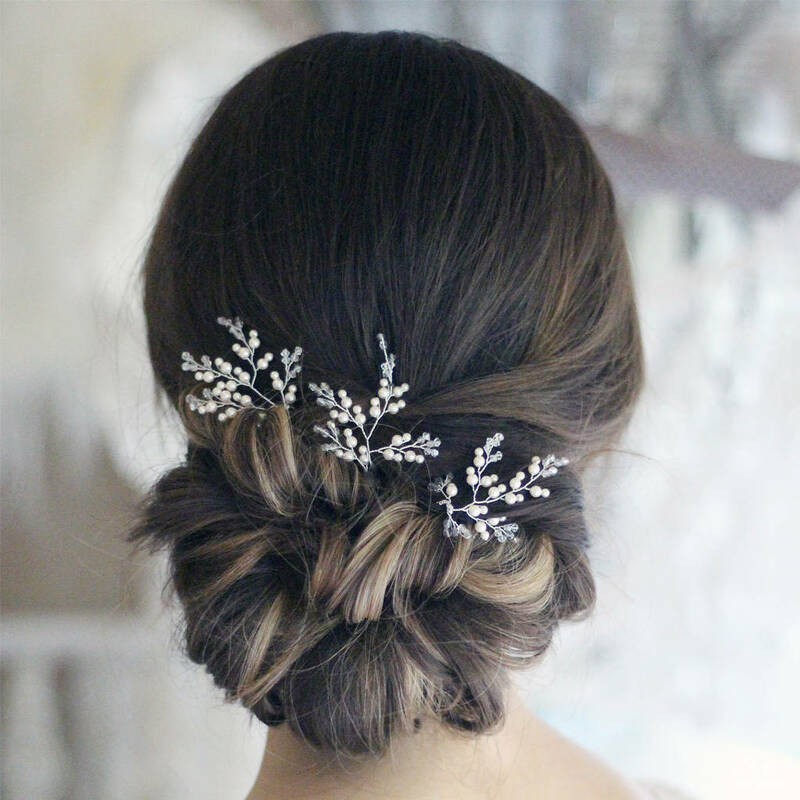 Oh, did we mention, they are just perfect for bridesmaids too!